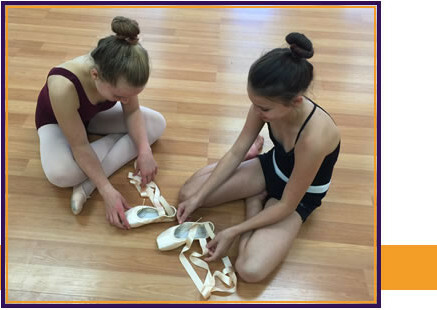 "My 11 year old daughter has been dancing with Mariana for 2 years and has developed so much under their great teaching and guidance. She has so much fun and is very supported not just in her dancing, but as a person. Very grateful for this extracurricular activity for my daughter." "Our 6 year old daughter has made many friends and loves dancing at MDS! Positive energy and amazing teachers." "I have been dancing here for six years now and it has been the best experience of my life. Everyone is so nice and all the girls on my team have become my sisters. The choreographers are amazing and every class is always fun. I learn so much everyday and I wouldn’t want to dance anywhere else!" "I have been dancing at Mariana’s for pretty much all of my life and I regret absolutely nothing. My time spent here has been the absolute best in my life. Not only is the instruction and choreography amazing, the students are the sweetest, most supportive people you will ever meet. If you or your child are interested in joining a great dance studio with a warm, welcoming environment, to have them become the best dancer they can be, this is the place. I love my MDS family!" I have been dancing at MDS for a while now, and let me say it has been one of the greatest thing to have ever happened to me. This studio is such a family and positive community and I always enjoy the time I spend there. The teachers and instructors work with you and really help you to learn and grow in your dancing skills. The people there are so amazing and fun, and I would definitely say are some of the greatest people I have met. I do competitive dancing at the studio and I would say it’s a 10 out of 10 recommend. As a dancer you become so close to the instructors and other dancers on the team and it teaches you discipline, hard work, responsibility, teamwork and also just how to have a great time! The studio is like a second home to me and I hope others can soon share this amazing place. "My daughter has been dancing at Mariana's Dancing Studio since she was 9 years old. She is now 16, and she has been a part of Mariana's Competition Team for the past 3 years. Thanks to Mariana, dance has become an important part of her life. The studio has instilled in her some valuable qualities along the way in addition to learning some fantastic dance - teamwork, responsibility, perseverance, and hard work. The teachers have encouraged her to learn and grow as a confident dancer. Best Dance Studio!!!" What I like most about MDS is that the Director and Instructors do not limit the types of dances their students learn or hold any of their students back because of their age. My daughter has been dancing since the age of 2. When she was 5, she became interested in earning other types of styles such as Hip Hop, Jazz and Lyrical. We looked at different studios and found that most do not offer these styles for younger dancers. One studio said they do not offer lyrical or contemporary to students under 10 years old. Needless to say, my daughter was ecstatic when we found MDS. Soon after she started dancing at MDS she was interested in joining the Studio's Mini Competition Team. Even though the Team being formed was comprised of students who were at least 2- 3 years older than she, the instructors made her feel an integral part of the team. She has been very happy at MDS, has competed with group routines, two solos and a trio, having won 1st Place awards in several instances. She has performed in the many recitals the Studio produces, both in Recreational and Competitive routines. She now also takes Acrobatics/Tumbling at the Studio, which has enriched her skill variety. She has been part of showcase performances on T.V, parades and other special events. I am very happy with MDS and so glad and proud to watch her progress year after year."